More Videos by maxon precision motors inc.
How is the RMS value calculated and when is the RMS value used? ESCON sensorless - See it in action! Straightforward commissioning, excellent motor control characteristics, and peak performance. See it in action! Get multi-axis motion control with the NEW maxon EPOS3 70/10 EtherCAT positioning controller. New brushless DC motor controller that has maximum performance, control properties, and wide range of functions. How to setup the communication interface for EPOS4 positioning controllers in the EPOS Studio. maxon precision motors develops and builds precision drive systems. Our products include DC brush and brushless servo motors and drives ranging in size from 4 - 90 mm. 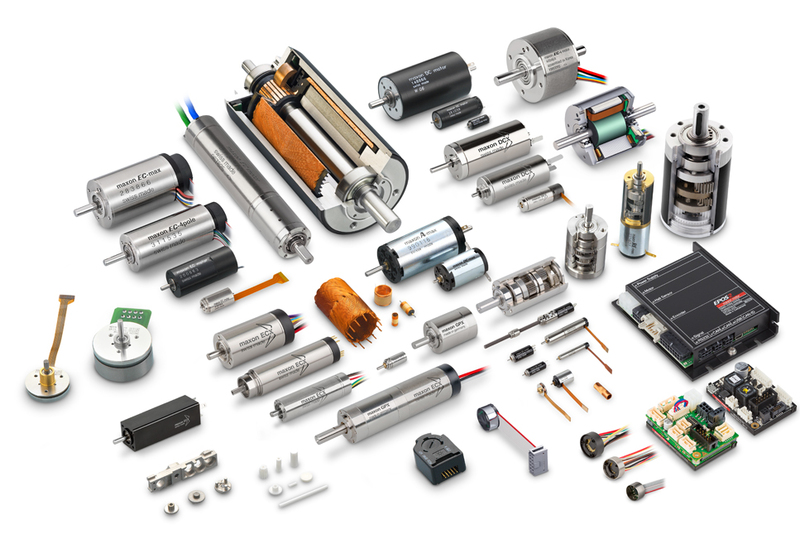 We combine electric motors, gears and DC motor controls into high-precision, intelligent drive systems that can be custom-made to fit the specific needs of customer applications. maxon drives set the world in motion. Worldwide, maxon motor has more than 2100 employees; production sites in Switzerland, Germany, Hungary and South Korea; and sales companies in more than 30 countries. DC brushed and brushless motors configurable online and ships in 11 days. maxon's family of X drives include DC brushed and brushless motors, gearheads and encoders. maxon's X drives are extremely powerful and easily configured online. Customers can fit the drives with specific mechanical and electrical components specific to their application needs. It is possible to customize the shaft lengths, winding types, ball bearings and much more. When combined together with encoders and planetary gearheads, you form a high-precision, robust drive system ideal for any application from aerospace to medical to robotics. In fact anywhere that requires a compact, powerful, quiet and strong drive system. In addition, detailed product data may be viewed in immediately oline and 3D CAD data for the configuration is available for downloading. Vist xdrives.maxonmotorusa.com for more information.